Since I use procedural generation, there is little to no chance for me to actually place any enemies, items etc. myself. Instead, I have to make the generator do the work for me. My levels are very much area based, so I decided to place enemies, loot, hazards, key items on an area basis. They might also be combined. For me, the best metaphor to describe how it’ll work is the generator is playing cards from a given deck. I can define the set of available cards per level, this is how I can control when particular gameplay elements are introduced to the player. Another benefit is I can force certain combinations of enemies, like a melee one combined with range support, or combine enemies with hazards, to create new situations for the player to solve. I also figured I can now deploy a rythm of good cards followed by evil cards, repeat. I call those Area Cards. Further, I decided to implement a Director AI. This concept was first introduced in Left 4 Dead and I think it is a perfect fit for Biosignature. What it does is it tracks the players stats and their stress level. Then it can react to those to keep a defined stress baseline. I liked the term so the Director does now play Action Cards. It might be spawning additional enemies or help the player out by presenting long needed health packs to them. 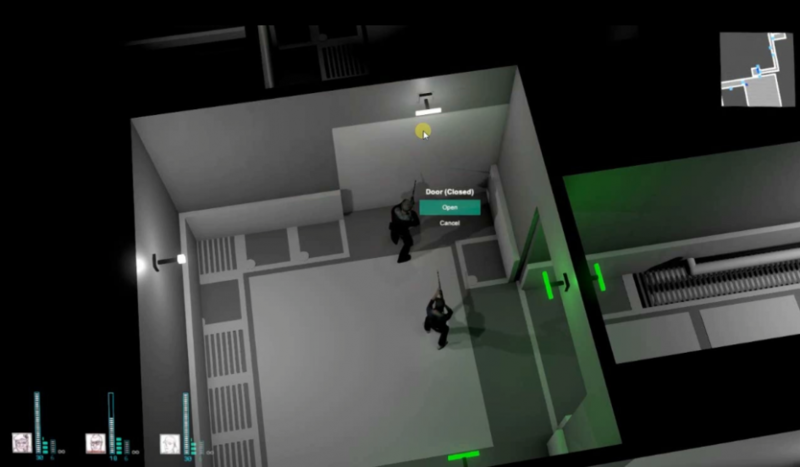 The chance of the game placing enemies in their backs will also keep the players on their toes much more.